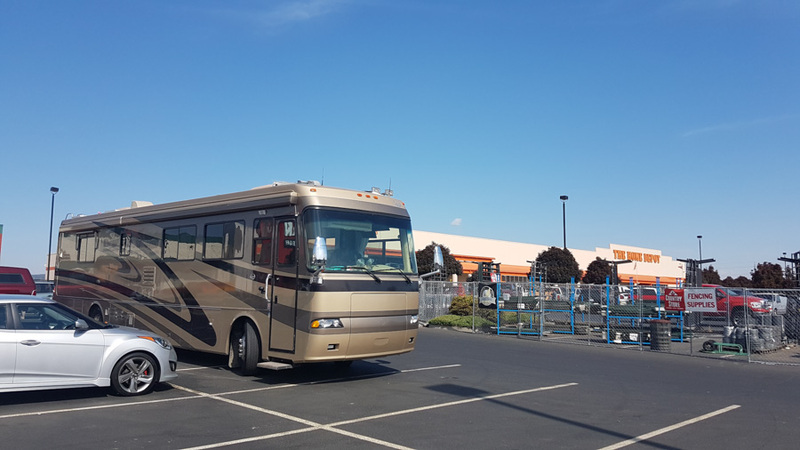 We drove down to Coburg, Oregon this month to spoil Explorker2 with a new windshield and to have the manufacturer of the coach, the REV Group, look at a few things. 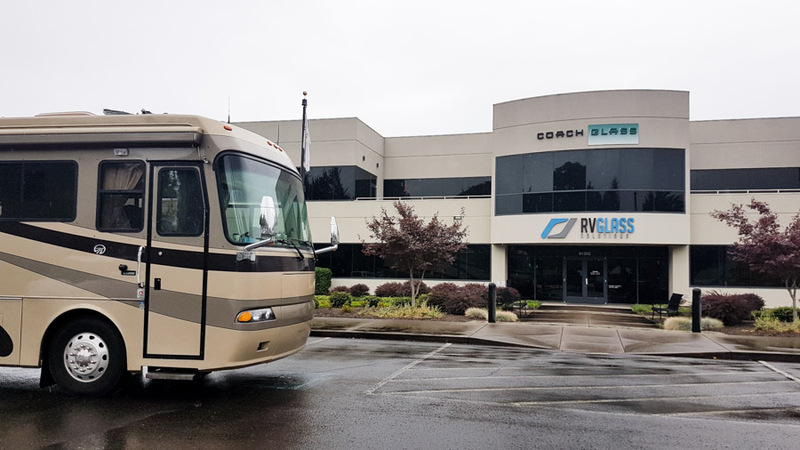 Our first stop was RV Glass Solutions down the road from Marathon Coach and the REV Group. 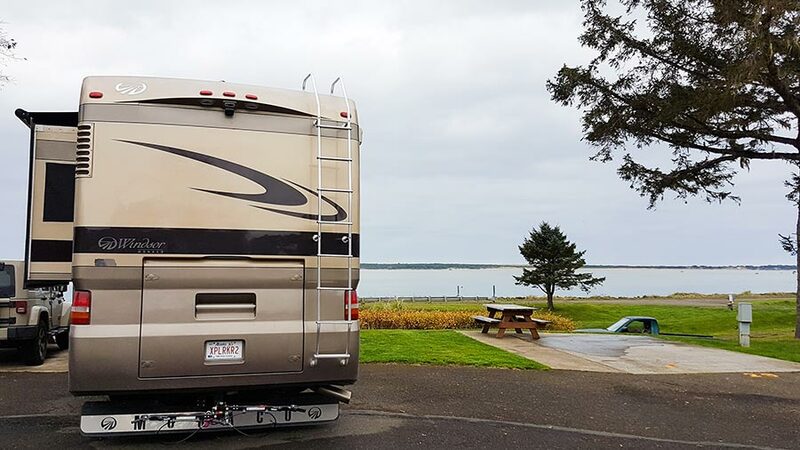 We had reached out to RV Glass Solutions based on an overwhelming amount of recommendations. Holly replied to our email very fast, and we coordinated our appointment entirely over email – which we really really appreciated. Holly is amazing. 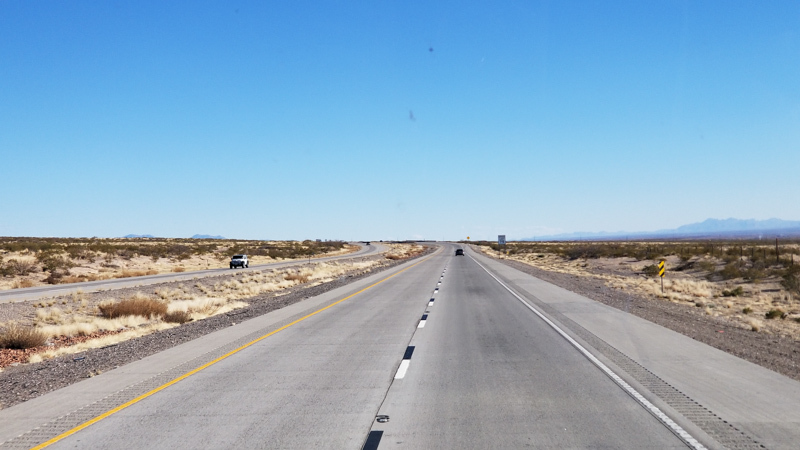 If you have a class A motorhome and need a new windshield or have it repaired, this is THE place to go. 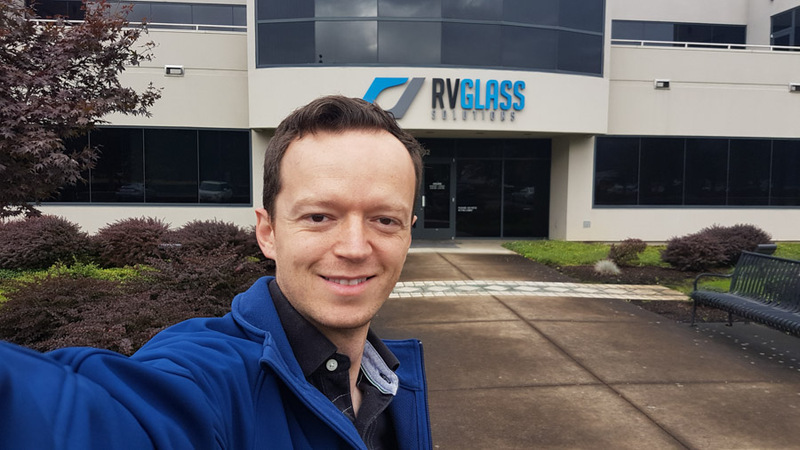 During our stay at RV Glass Solutions, we also got a tour of their facility; it’s very impressive. 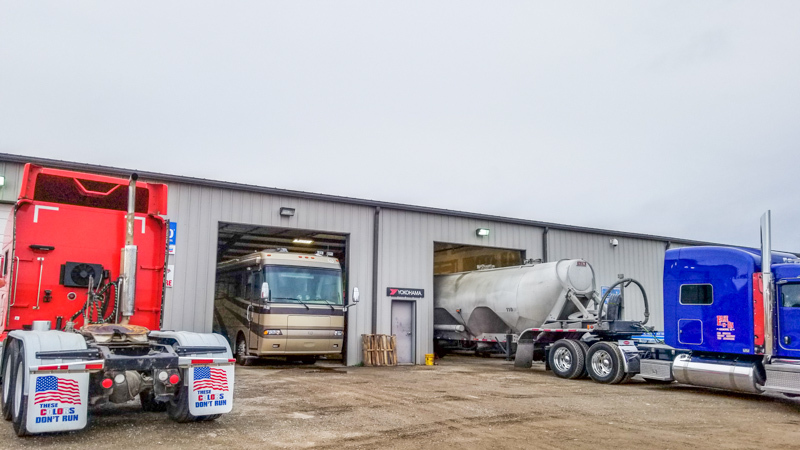 If you have watched Indiana Jones: Raiders of the Lost Ark, then you likely remember the ending scene when The Ark is rolled into a massive warehouse – that’s like the RV Glass Solutions warehouse. 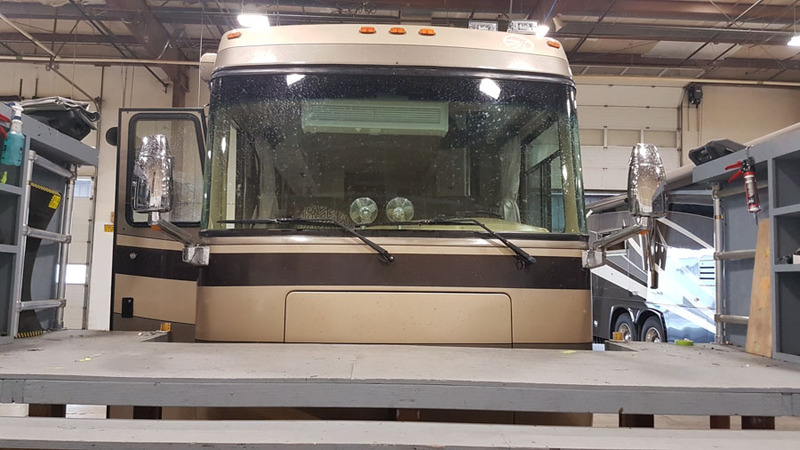 Explorker2 wasn’t sitting level when RV Glass Solutions pulled the coach into one of their installation bays, thankfully the guys next door at the REV Group were able to adjust the ride height and got us sorted out. Our second stop was Marathon Coach, founded in 1983; the company has created some of the most luxurious and high-quality motor coaches ever built. Each coach is custom built on the Prevost platform. We will share our Marathon experience in a separate post – there is just too much we need to share to fit in this post. 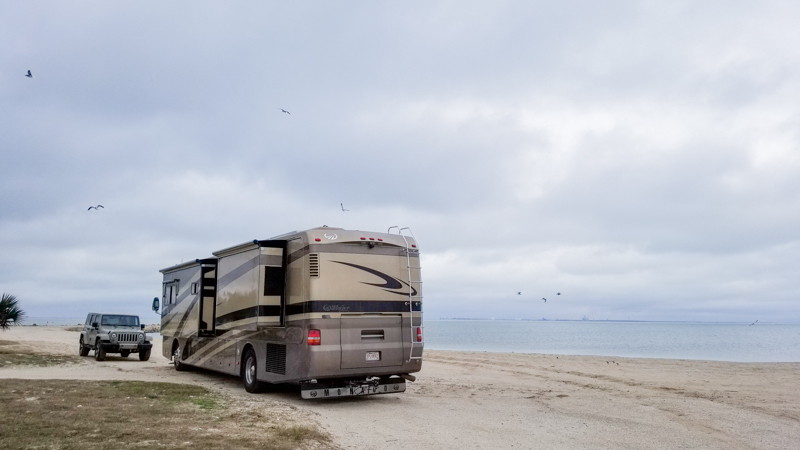 We headed over to the coast for a few days and set up camp at South Jetty Thousand Trails near Florence. 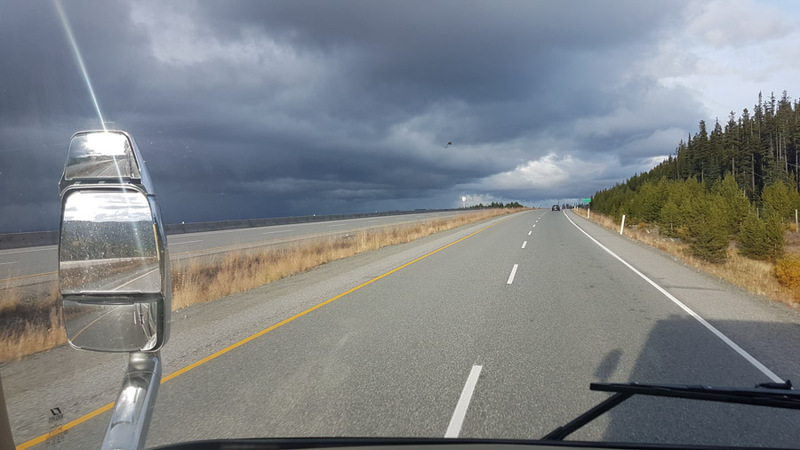 Check out our mini-review and pictures. 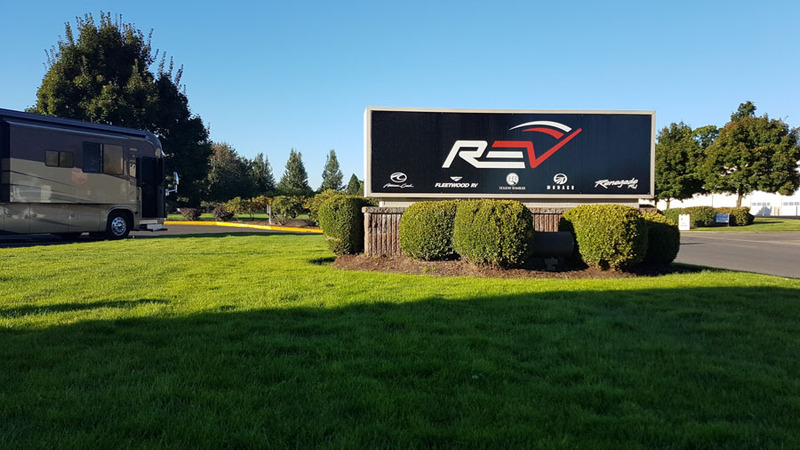 Our third and last stop was at the REV Group back in Coburg. 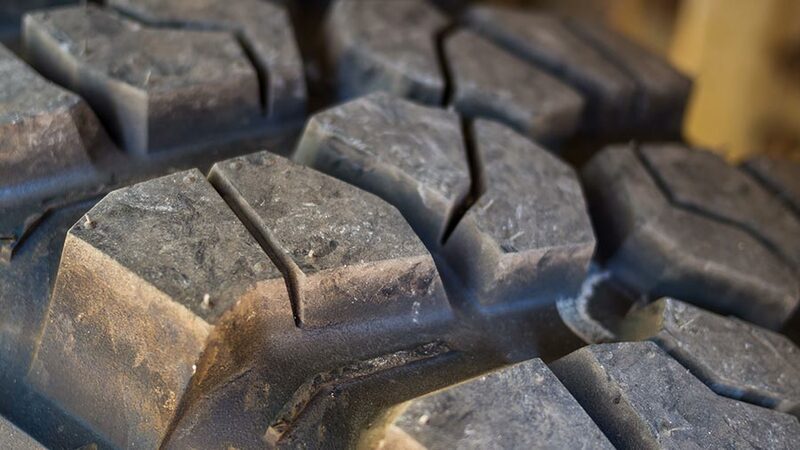 We were blown away by the level of service and competence. 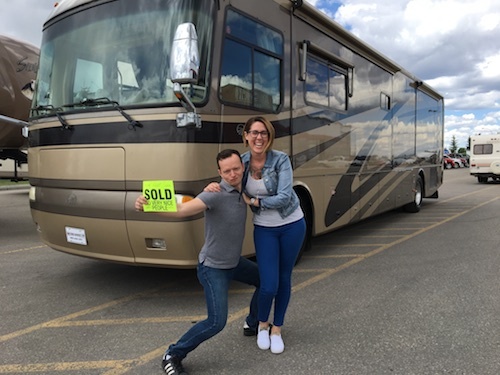 Before leaving Alberta, we had Explorker2 at High River Autoplex for three weeks, which let us down completely. 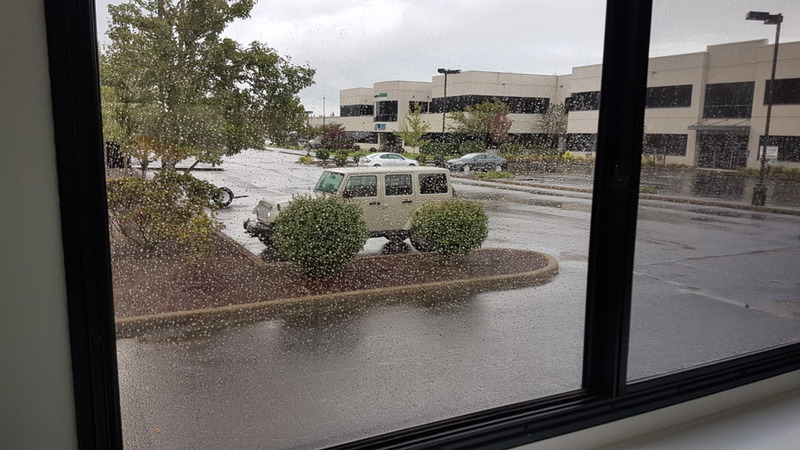 Thankfully the guys and gals at the REV Group took care of us, and we got almost everything fixed, even the things that High River Autoplex had “addressed.” Our service advisor, Kris, was amazing. From now on, we’ll only have service done by the REV Group, and if we can swing it, only in Coburg. 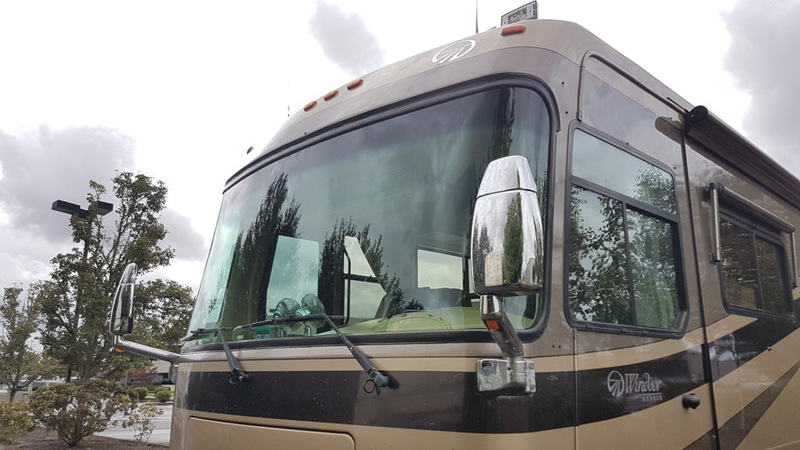 We also spent USD 1,622 on the new windshield, replacing the windshield that cracked shortly after we got Explorker2; cracks likely caused by the many air leaks in the system leading to issues with keeping the coach level. 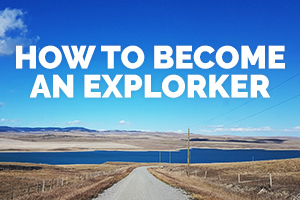 Explorker2 is ready for more explorking!